Wood clad windows offer a unique style to any of our customer’s homes. Wood Clad windows will give you the ability to have the durability of fiberglass while keep the rich look of vertical-grain Douglas fir. Wood Clad Windows & French doors offer the best of both worlds—the durability of fiberglass and the clear, vertical-grain Douglas fir. You get a carefree exterior, plus all the beauty of a natural wood interior. Our wood interiors make it easy to match existing woodwork. We can seal them with a clear sealant for a natural look or custom stain to achieve everything from a maple to a cherry appearance. For the exterior, order WoodClad Windows & French Doors in any of our factory-painted exterior colors (guaranteed not to peel or eggshell), or in a custom color applied at the factory. You can also paint the exterior yourself. 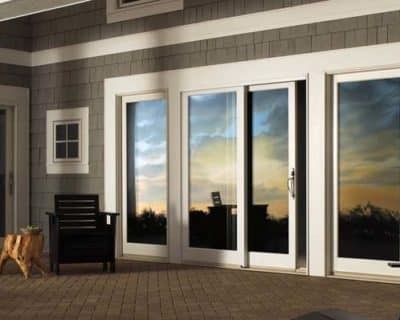 Doors are available in custom sizes and multiple panel configurations, as well as with a wide selection of hardware and virtually endless grid options.